Idaho is rugged with some of the unspoiled natural areas in the United States. It is a rocky mountain state with scenic views and abundant natural resources. We pride ourselves here in Idaho for being warm and helping out others. If you too want to help someone, a career as a hearing instrument specialist is what awaits you. To become a licensed hearing aid professional, you need to clear the written and practical International Licensing Exam (ILE) administered by the International Hearing Society (IHS). If you want to prepare for the hearing aid specialist licensing exam here in Idaho, enroll at the Hearing Aid Academy today. We offer the most complete and advanced online education program ever created for hearing aid specialists. When you sign up for the Hearing Aid Academy’s program, you get access to the following benefits. Idaho has always worked toward protecting the rights of people who are hard of hearing. Idaho Association of the Deaf is the only organization in the state who works to safeguard the accessibility and civil rights of people suffering from hearing disability. The association also regularly holds the Miss Deaf Idaho and Miss Deaf Idaho Teen pageants annually. The Hearing Aid Academy makes the licensing process faster. You are not required to wait for 2 years to go through the program; rather, you can prepare for the hearing aid specialist licensing exam here in Idaho in less than 12 weeks. This is a 100% online self-paced program. So as long as you have working internet connection and a laptop, you can take this course anytime anywhere. You can work at your speed and at your schedule, while keeping your daytime job and other life commitments. Moreover, each student is assigned an instructor who works with them one-on-one through the program. So at the Hearing Aid Academy, you are never alone. The Hearing Aid Academy boasts of an exceptional track record of students who have completed our program and moved on to pass the state licensing exam. For over a decade, we have worked with individuals with no medical knowledge to gain access to the education they need to pass the hearing aid specialist licensing exam. If you are looking for a career change, it is the right time to jump on board and invest in yourself. Clear the state licensing exam and open doors to a great career that brings along with it a great income, job security and leave you satisfied at the end of the day. If you are tired of working for other people and want to be your own boss, this is the right opportunity. Working as a hearing aid specialist will help you make a positive impact on people’s life and work according to your convenience. 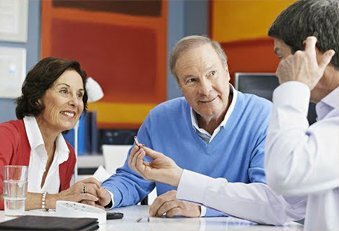 As a hearing instrument specialist, you will be responsible to evaluate people who are hard of hearing and help them choose the best hearing aid to improve their condition. You can open your hearing aid center and be your own boss. This is a high-in-demand industry and there is really no limit on your earning potentials in this industry. Get your hands on a cost-effective online course to pass the state licensing exam. The monthly payments for the course start as low as $199 and can be paid over a course of 12 months. On the other hand, a two-year course at a college would cost you around $48,000 along with other expenses including commuting fee, rent and more. Students qualifying for the online Hearing Aid Academy’s course also get financial assistance from sponsors. The Academy provides job placement services through a job alliance program. Do you know, over the past 11 years, our students were able to secure a job with an employer or a sponsor? Every American state has different hearing aid specialist licensing procedure and it is important to get familiar with your state requirements. HAA qualified instructor help you get familiar with your state’s requirement. For more than a decade, Hearing Aid Academy has helped people acquire the knowledge required to get license and become a hearing aid specialist here in Idaho.At Hearing Aid Academy, we have qualified instructors with more than three decades of experience on board. This is a growing industry with a lot of income potential. However, the first step is to get an education that will help you clear the hearing aid specialist licensing exam here in Idaho. Thinking about the fee? Monthly payments start as low as $199. Moreover, we offer financial assistance to those who qualify. So, if you want to make a difference in someone’s life, study while working your daytime job, and want to enjoy flexible work timings, this is one of the best career choices. The Hearing Aid Academy welcomes you as a student. Enroll with the Idaho hearing aid specialist licensing program today. Call the Hearing Aid Academy at (903) 487-0097 or email at admissions@hearingaidacademy.com.